With Optimax children's multivitamin Extra is the ingest of important vitamins and less toe an A, B, C Taj. To be precise, the complete series A, C, D, E, K. " Vitamin D, for the normal growth and development of bones. Contains 100% RDI vitamin B, C and E and even 150% RDI vitamin D. Vitamin B12, C and zinc, for support of the resistance. "" 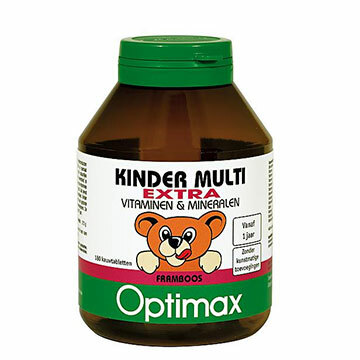 "With Optimax children's multivitamin Extra is the ingest of important vitamins and less toe an A, B, C Taj. To be precise, the complete series A, C, D, E, K, 8 full vitamin B complex and minerals. In addition it contains even 150% RDI vitamin D naturally without artificial additives *. Look, there is again great with it become well Optimax. * free of artificial colors and sweeteners. ".